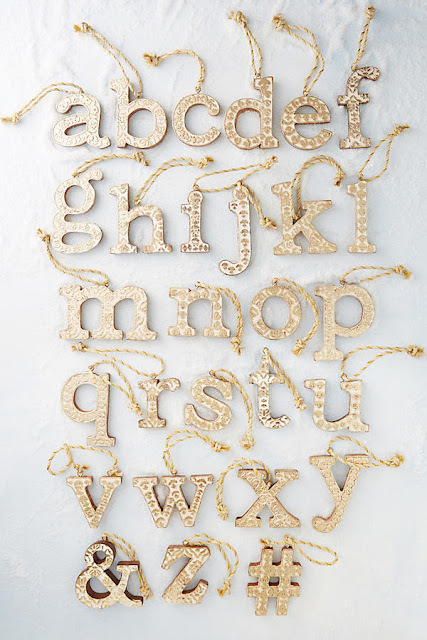 I took advantage of Anthropologie's post Christmas Tag sale (happening right now!) where you can take an additional 40% off sale items. I think the sales section is the only place I ever shop at Anthropologie and always when there are additional markdowns too. 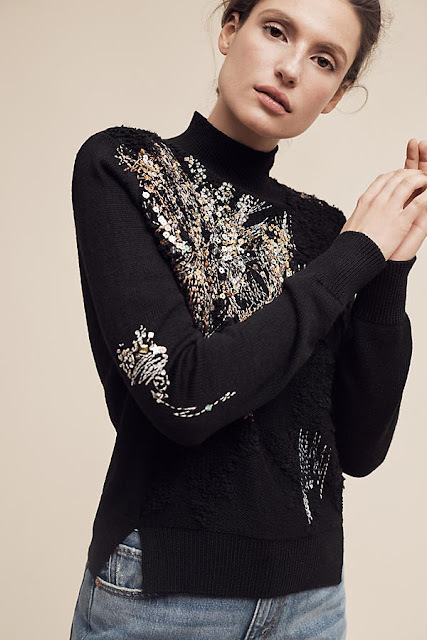 I purchased this lovely beaded fete turtleneck sweater in-store for $49.95 - 40% = That's $29.97! It was originally $168. Not too shabby right?? It's best to visit the stores to save on shipping and find extra deals not available online since it is $54 online plus shipping fees. Maybe its a pricing mistake but it was the last one in the store and in my size (small). When I first saw the sweater I was like..mmm I am not sure if I can pull it off but I was attracted to it for some reason. 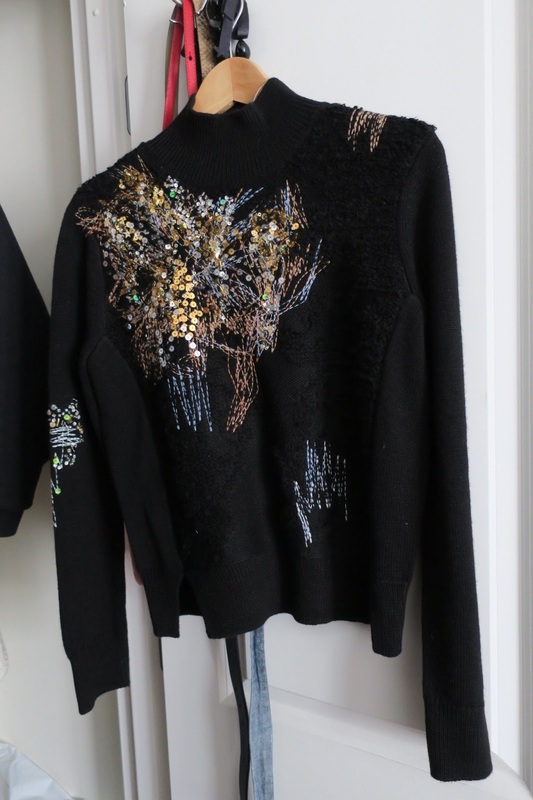 When I tried it on, I loved how it looked and it's perfect for a low key yet festive look. I can pair it down casually with jeans or dress it up with skirt and heels. 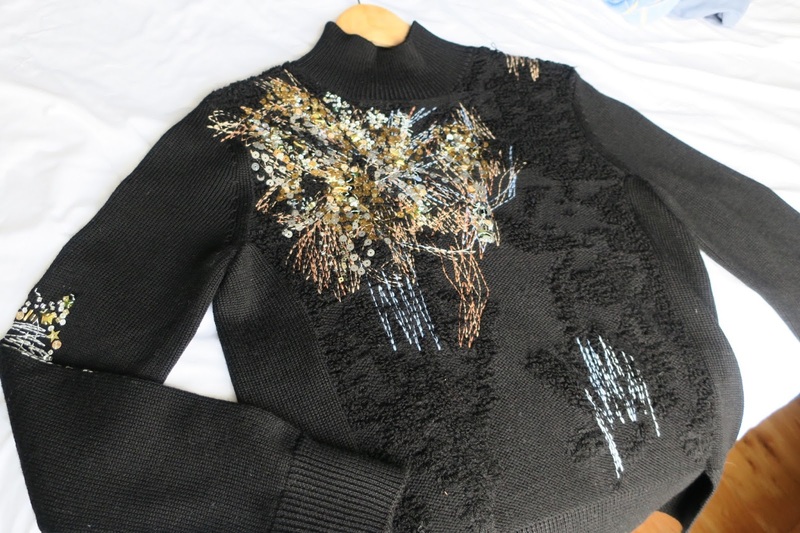 I realize when I got home that I might have seen this sweater before and start looking through some blogs. 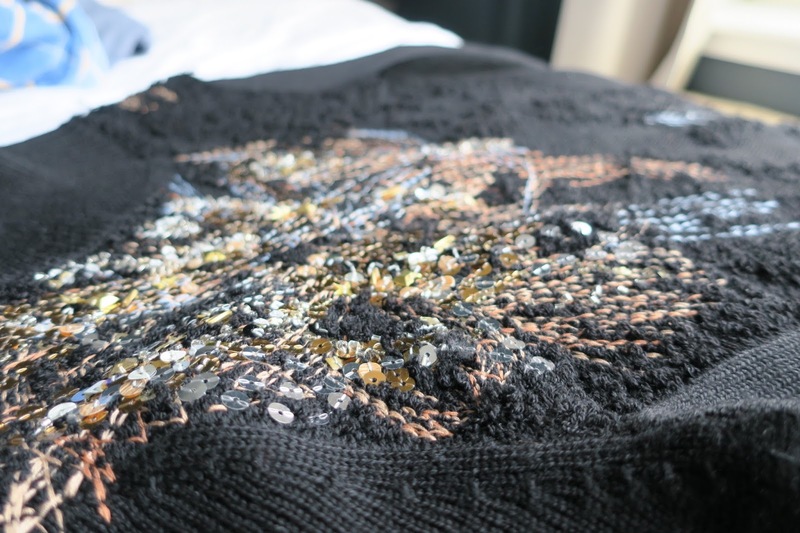 One of these mommy bloggers I follow (Love Taza) wore it in one of her recent posts. I bet she paid full price on it though! Ha! 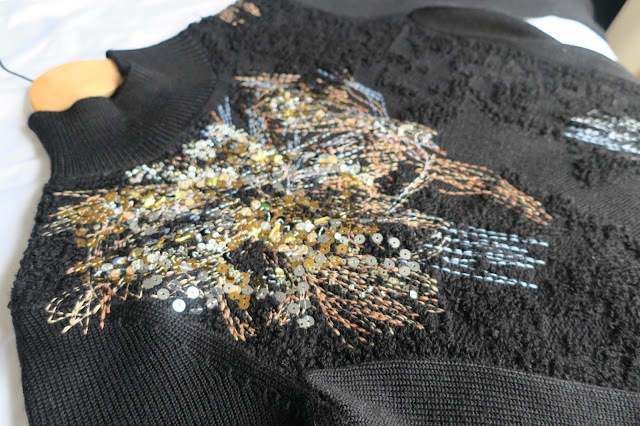 At the time, I thought the sweater looked so nice on her but didn't realize that I had bought the same thing! I also picked up a Vined monogram 'S' wooden ornament for $4. All Christmas items are half off. 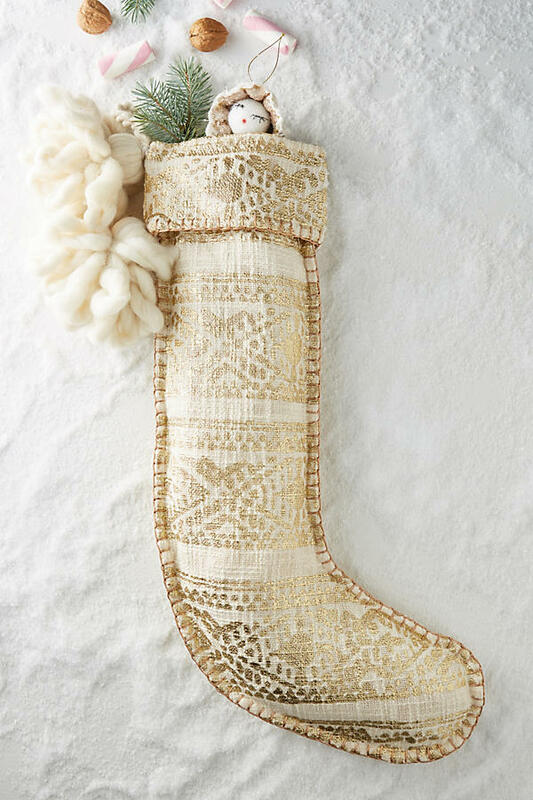 We are thinking of picking this Gold Fair Isle stocking ($19) up for next year. What do you think?